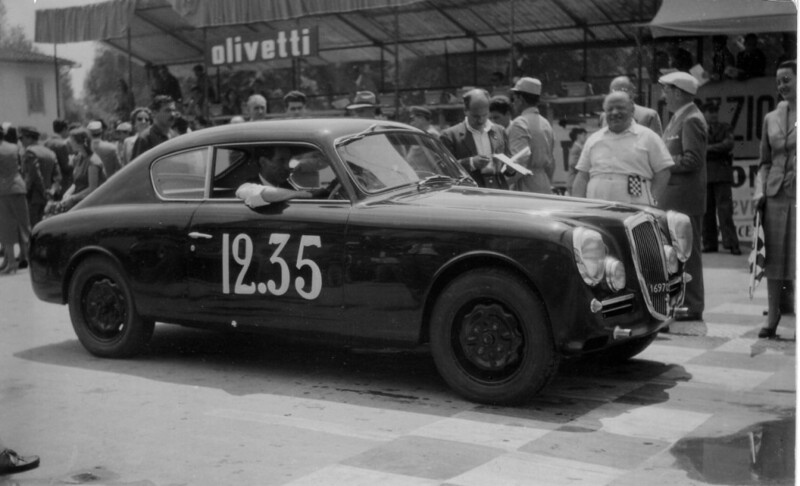 The general understanding is that the Aurelia wheels (like all Lancia wheels) were cream-colored in the center, and the outer part of the wheel was body-colored. Different versions and opinions exist on the cream color paint – several are listed here – if you search under “wheel” in the blog. There are different formulas and paint samples, varying by country, so hopefully you can find a paint color for your car. 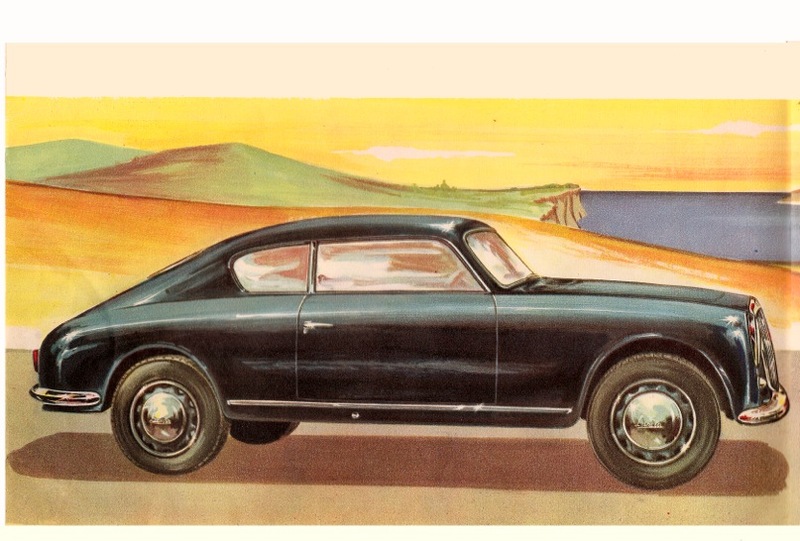 Not all Aurelia images show cream color centers for their wheels. 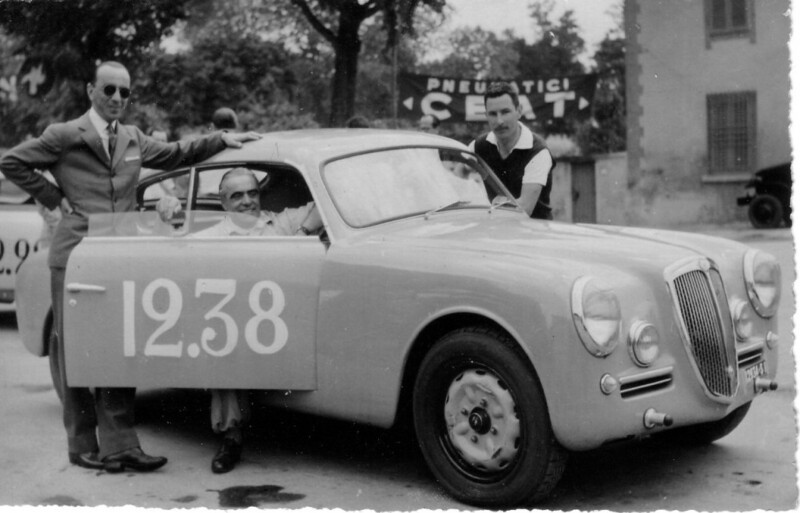 A trip through the history reveals some variations, so here we go…. 1. 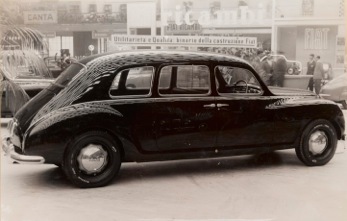 This is the B10 in the original promo photo by Moisio (the factory photographer). Seems like dark rims, with cream used for the centers. All is OK.
2. 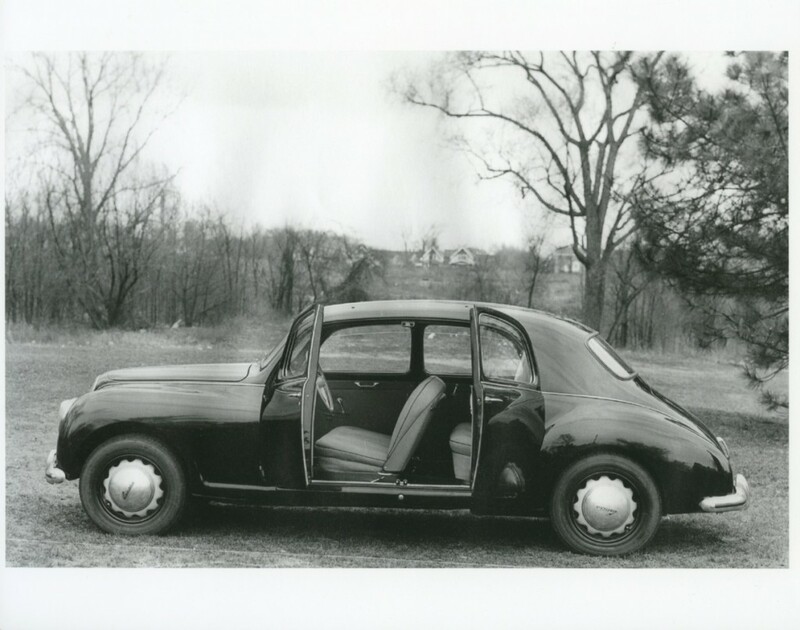 Same idea in this B22 promo shot – dark rims and cream colored interior sections. 4. 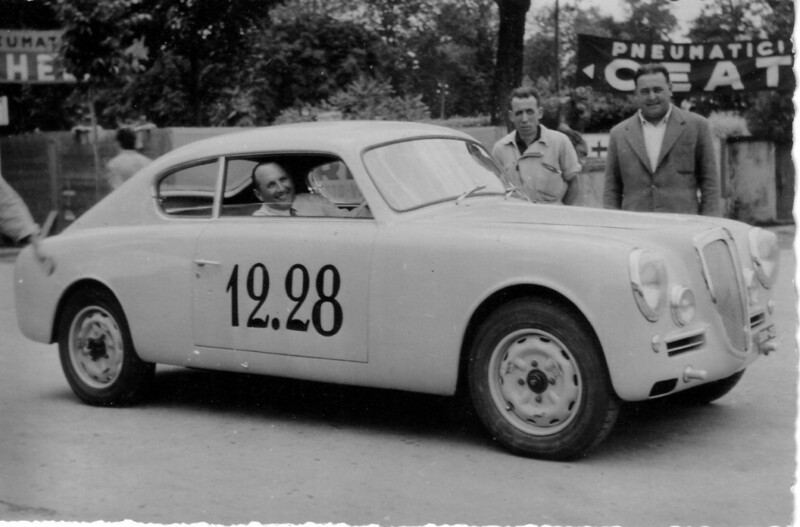 An s.1 B20, from the homologation papers, has dark wheels. They seem lighter than body color. 5. 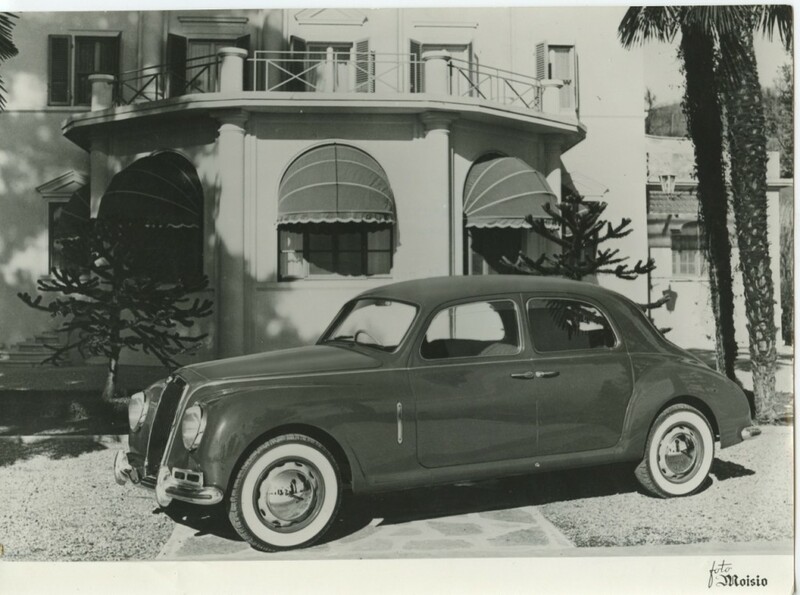 Here is a B15 at 1952 Salone has dark wheels, possibly with cream centers, and different wheels. 7. Here is Gianni standing by a unique B20, with special wheel covers. Notice the shark-tooth air opening! 8. 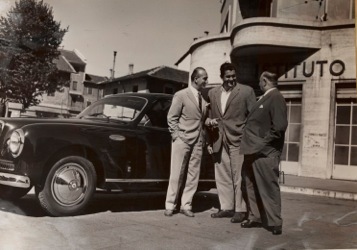 Three views from the Giro di Toscana in 1951 – each one with different wheel colors. 9. 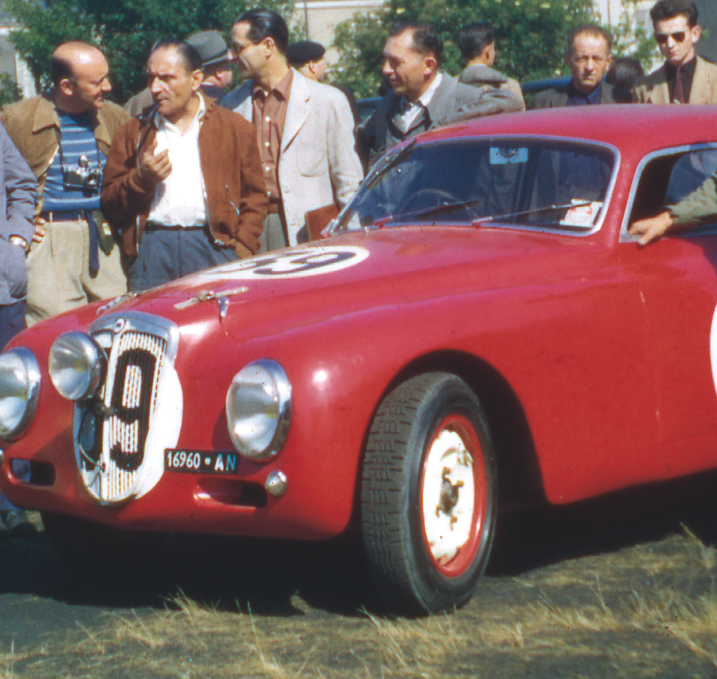 Perhaps the definitive view in color: a rare color photo of the 1952 Corsa at Le Mans. 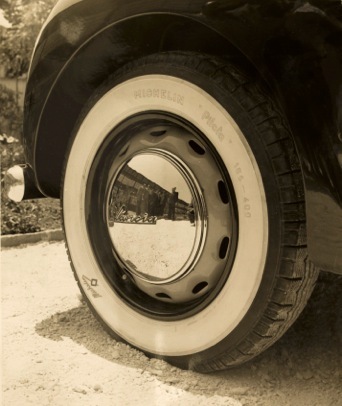 This has cream centers and body colored outer rims (the full image is in the book! ).